Dutch furniture designer and industrial designer Frans Schrofer is known for a sculptural approach to furniture design, conscious use of materials, practicality, ergonomics, technical knowledge. Frans Schrofer was born on 15 August 1956 in The Netherlands. He received a technical education in Leiden and then studied at the Design Academy Eindhoven, graduating in 1983 and founding his own design studio, Studio Schrofer, in 1984. 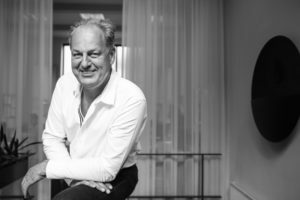 Born into a family of artists and furniture designers, Frans Schrofer is the son of Willem Schrofer, beloved teacher at the Royal Dutch Art Acadamy and Co-Founder of the art movement “de Nieuwe Haagse School. Schrofer’s early education included metalwork, auto mechanics, electro-mechanics and mechanical engineering. Supplementing his formal education, from the age of 12, Schrofer was mentored by the sculptor, Frans de Wit, developing an awareness of sculptural style in the process. In 1983, he graduate from Design Academy Eindhoven and he began to work in consumer and industrial packaging which brought him to learn how materials, shape, colours, texture, could affect consumers buying decision. Mobius for Becker Chair from Studio Schrofer – It explores the modern sentiment in a unique manner, the 3D note is easily spot even in images and the design is work of Studio Schrofer. 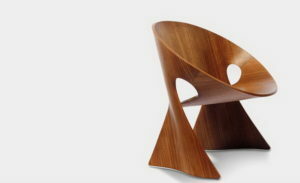 Wood panels used to shape the chair, bring the needed warmth to the design. In 1984, he set up his own design studio in The Hague, Netherlands. Studio Schrofer received its first commission from the Dutch firm, Young International, an association that would last for several, productive years and bring him widespread recognition as a rising young talent in the Netherlands. Schrofer shared his extensive knowledge in packaging and design as a teacher at the Royal Academy of Art in The Hague from 1987 until 2001. Technological developments continue to be a source of inspiration for the Dutch designer. Schrofer has also designed glassware, tables, storage cabinets and a chess set. In 2011, he approached the historic Dutch gin manufacturer, van Kleef, with an idea to innovate the product’s packaging. Using a traditional ceramic manufacturing technique, Schrofer designed two distinctively shaped bottles to differentiate the old gin (oude) from the young (jonge) distilling process, together with matching shot glasses. 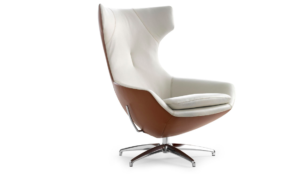 The Athena armchair was designed by the Dutch furniture designer for BoConcept. This chair represents a private escape and it is characterized by a surprising beauty, enveloping shapes and sitting comfort out of this world. With its soft lines and feminine appearance, this modern reclining chair is dressed to amaze. It is equipped with a revolving base that perfectly transforms this chair. The Athena armchair is a chair with shaped backrest to cradle your head and neck as well as supporting your back. Athena is lighter and more modern than most of the other angular or old-fashioned recliners on the market. It’s curvy and voluptuous. 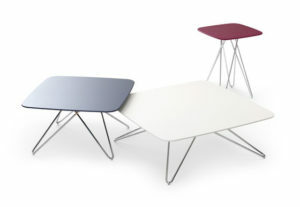 Its shape will complement whatever room it’s in without dominating. It cushions, supports and envelops. 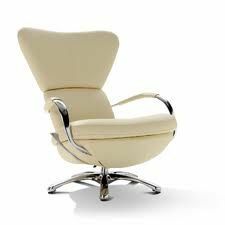 Available in a choice of fabric or leather upholstery, with commercial quality fabrics available. Caruzzo armchair is a swivel chair designed by Frans Schrofer for Leolux. With Caruzzo, Frans Schrofer has created a high-class, high-backed armchair with great attention to design and ergonomics. The Caruzzo chair, in fact, boasts a high back for your privacy and traditional upholstery details to ensure that Caruzzo is a feast for the eyes. The striking stitching embroidered on the back of the seat is handmade by Leolux artisans. It looks fantastic, of course, in a contrasting color and a mechanism that allows the user to adjust the position more or less active. The Caruzzo seduces and entices with her svelte and muscular body. Her strong back and angular shoulders express a bold self- confidence. She is appreciated by those who work and play hard on the dangerous curves of life’s highways. In 2015, the Caruzzo recliner, designed by Frans Schrofer and manufactured by Leolux, was awarded a Red Dot Award for product design. One of Schrofer first designs for Young International was the Scudo chair which is one of the chairs that represent a huge commercial success for its manufacturer. This chair was inspired by the relaxed and slow moving turtles, this chair was designed to be elegant, practical, comfortable, looking for an ergonomic design which respect the rest of the person. 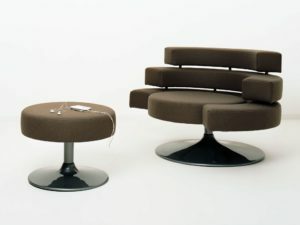 Another of his most successful designs was the Formi chair which is based on the worker bees, this chair features a continuous rotation mechanism motion passive, which is designed to be adjusted to the spine.